Mr. E has been on a morning smoothie kick. This normally consists of plenty of frozen berries, fresh bananas, mango juice, almond milk, and kale (gag). When things get too busy or if we’re too tired to wake up early, the bananas seem to ripen at super sonic speeds. 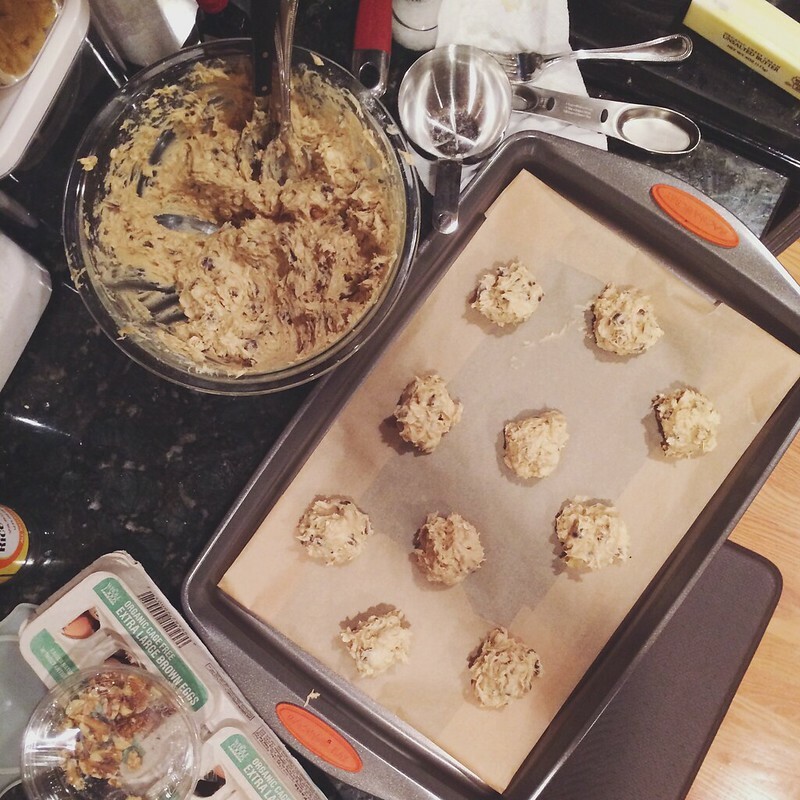 It pains me to throw produce away, so last week I took our nearly liquefied bananas mixed in a little Martha Stewart, and made some seriously awesome cookies. Preheat oven to 375 degrees. Whisk together flours, salt, and baking soda in a small bowl; set aside. Put butter and sugars into the bowl of an electric mixer fitted with the paddle attachment; mix on medium speed until pale and fluffy. Reduce speed to low. Add egg and vanilla; mix until combined. Mix in banana. Add flour mixture; mix until just combined. Stir in oats, chocolate chunks, and walnuts. Using a 1 1/2-inch ice cream scoop, drop dough onto baking sheets lined with parchment paper, spacing about 2 inches apart. 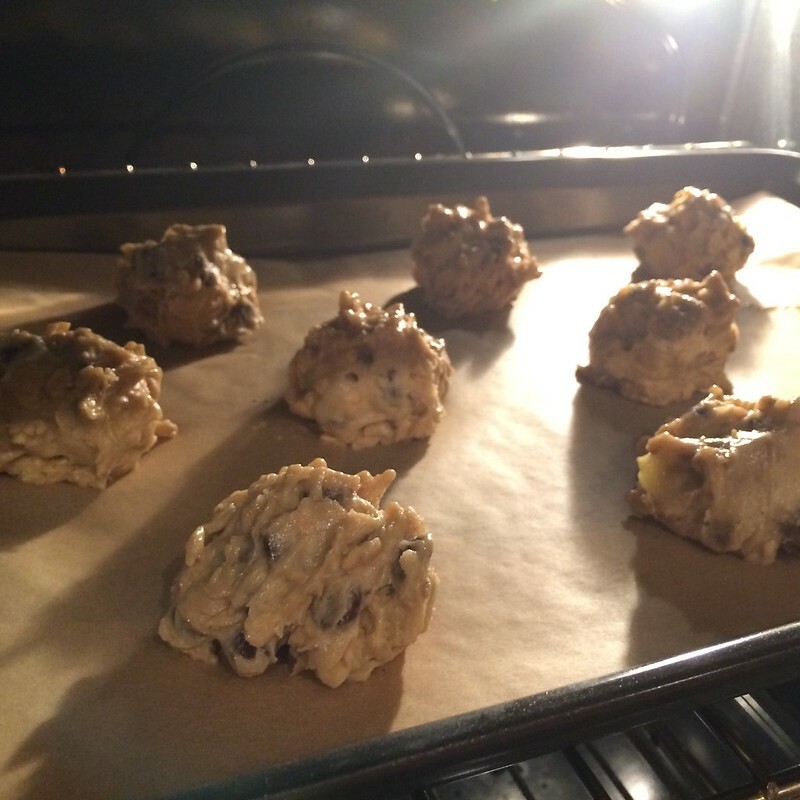 Bake cookies, rotating sheets halfway through, until golden brown and just set, 12 to 13 minutes. Let cool on sheets on wire racks 5 minutes. Transfer cookies to wire racks; let cool completely. Cookies can be stored in airtight containers up to 2 days. These puppies were too good, they didn’t even get a proper photo before being devoured. You can thank me later.